After unseating a Tory minister in last year’s snap general election, I’ve been shocked by the shambolic handling of important issues by this inept and uncaring government. One area that I’ve been paying close attention to is social care. At the time of my election, the CQC had found that 1-in-4 social care services were failing on safety grounds, with at least one care home closing every week. Only 2 per cent of providers were regarded as outstanding. Theresa May acknowledged that our social care system is “not working” and promised to fix it. It was even in the Conservatives’ manifesto. That promise has been broken. Since then, their Chancellor failed to even mention social care in the Autumn Budget and missed another opportunity in the Spring Statement. The single departmental plan of Jeremy Hunt’s Department of Health and Social Care failed to acknowledge the social care workforce. The result: care providers up and down the country, including in my constituency, have been placed into special measures and face closure. It breaks my heart to see people at breaking point because of this undignified and broken system. It isn’t just those in need of care who suffer, it is their families too. One issue, however, has had much less publicity. Yet it threatens the viability of the care sector and could jeopardise the care of the most vulnerable people in our society. That is the Tories’ mismanagement of the sleep-in crisis. I first came to learn about this issue when a senior council worker at Cheshire East Council was sacked after raising concerns that dozens of care workers had been paid less than the national minimum wage by the Tory-run council that had pledged to pay all workers a living wage. Since then, one of the Conservatives’ own councillors has said that the council knew it was underpaying care workers as early as 2014, adding that he would resign if he was proven wrong. As my colleague Stephanie Peacock MP wrote for LabourList last year, Unison brought a successful claim to the employment tribunal, where it was ruled that care workers who sleep overnight in care homes are entitled to the National Minimum Wage for each hour they are at work, referred to as ‘sleep-in’ shifts. In February 2015, the Department of Business, Energy and Industrial Strategy, then known as DBIS, updated their guidance to reflect the court ruling. This should have been the end of it. The government, now knowing that its previous guidance was wrong, should have taken swift action to ensure that all care workers received the back pay they were owed and were paid the NMW. Yet FOI requests have revealed that HMRC were instructed in February 2016 that staff were not entitled to the NMW during sleeping hours. This mistake is unforgivable. Over a year later, HMRC has finally started enforcing complaints made by workers in addition to seeking 6 years of back pay to make up for missing wages. However, the Tories stopped this by delaying in July 2017 and again in September 2017. It took another full year for them to eventually create an enforcement scheme – which is only now about to come into effect. Incredibly, local authorities were not instructed to pay the NMW for these ‘sleep-in’ shifts until October 2017. From 2015 to 2017, care workers were ignored. A care worker in the constituency got in touch with me because he didn’t know where else to turn. He described how staff morale was at rock-bottom, with many care workers suffering from poor mental health, worried about their job security, relying on foodbanks and payday loans – too scared to take time off sick and unable to afford annual leave. He described how care workers feel like they have no voice and no respect. Is it any wonder that more than 900 care workers are leaving their job every day? The way that this crisis has been handled is utterly disgraceful. The government has missed opportunity after opportunity to put things right. How can we expect the care sector to function given all this uncertainty? After years of continued mismanagement, the care workers’ back-pay bill is due in November. The reality is that the government has never paid enough money to local authorities for them to provide sleep-in shifts at the NMW. Thanks to sector surveys, we know that care providers cannot afford to pick up the government’s tab. If they are made to do so, some will close and some will hand back contracts. This will leave the vulnerable people they support to find new carers and local authorities to struggle further. Some will be forced to cut the additional services they provide – those that help disabled people live more independent lives. Blackpool has already had one care provider close. We don’t have long left until we’ll start to see effects throughout the UK – and it’s vulnerable people and low-paid carers who will suffer. This government has had three years to get to this point. So, where are the plans? Where are the proposals for safeguarding the viability of the care sector? As a shadow minister for the Cabinet Office, I’m proud that the Labour Party is defending vulnerable people and together holding this inept Tory government to account. 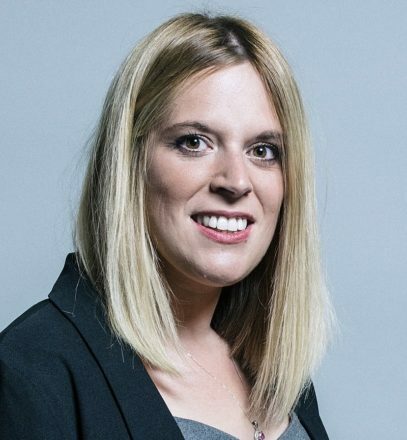 Laura Smith is MP for Crewe and Nantwich.